Anytime I mention to someone that that the Law has been made obsolete, I recieve a quizzicle look. A look of disbelief. And I understand why, I mean, I consider my self to be a middle-aged adult yet I am able to still remember the 10 Commandments being posted in school classrooms and on landmarks, for example. On top of that, every once in a great while I will come across a sermon or see a social media post in reference to the Law, that we need to obey the 10 Commandments. Religion has ingrained the Law into our mentality as if it were our guide to living a life pleasing to God. But then, if that were true, why would the Law be made obsolete? Perhaps there is a reason that religion is unaware of; that it is scared of, because perhaps, just perhaps, if we were to find out why the Law is obsolete then we would not need religion. Hebrews 8:13 (NIV): By calling this covenant “new,” he has made the first one obsolete; and what is obsolete and outdated will soon disappear. 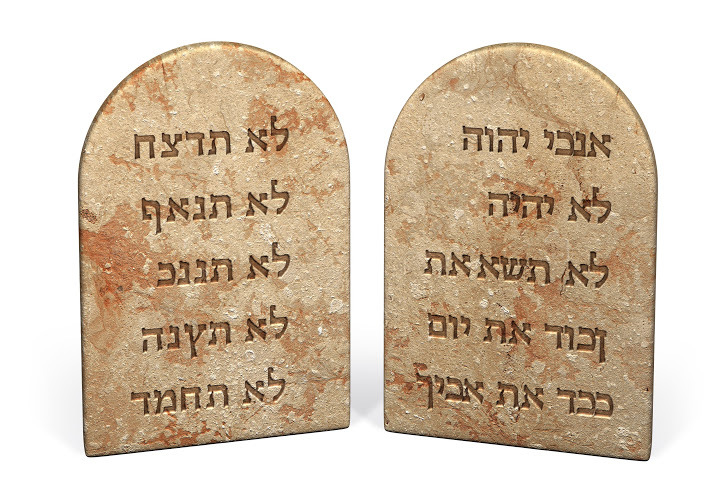 In summary, we see in Hebrews 8 that the New Covenant replaced the Old Covenant, or the Law, making it obsolete. In Colossians 2, we see that God blotted out the handwriting of ordinances (meaning the Law being God wrote it with His hand, or finger) when He nailed it to the cross, or when it was fulfilled, so to speak. The reason the Old Covenant or Law was replaced, was because our righteousness or reconciliation to God depended on our own ability to keep the Law perfectly, which no man could do. So, God made a New Covenant based on the perfection of Jesus Christ to ‘mediate’ or keep the Law, which we benefit from, and all we have to do to be justified is simply believe. Hebrews 9:15 (NIV): For this reason Christ is the mediator of a new covenant, that those who are called may receive the promised eternal inheritance–now that he has died as a ransom to set them free from the sins committed under the first covenant. Galatians 3:24-25 (NIV): So the law was our guardian until Christ came that we might be justified by faith. (25) Now that this faith has come, we are no longer under [LAW]. Romans 3:22 (NIV): This righteousness is given through faith in Jesus Christ to all who believe. Romans 3:24 (NIV): and all are justified freely by his grace through the redemption that came by Christ Jesus. The problem with living under the Old Covenant or Law, is that we believe we are made righteous if we follow it or by the ‘works’ we do. We believe we have the ability to ‘do good enough’ for God to credit us righteousness. If this were true, Christ would not have needed to die on the cross, and we would not need grace for grace is the opposite of the Law. Romans 11:6 (NIV): And if by grace, then it cannot be based on works; if it were, grace would no longer be grace. The reason the Law is the opposite of grace, is because we beleive that God is obligated to credit us as righteous based on what we do, and is the very definition of self-righteousness which is the purest form of unrighteousness. Romans 4:4-5 (NIV): Now to the one who works, wages are not credited as a gift but as an obligation. (5) However, to the one who does not work but trusts God who justifies the ungodly, their faith is credited as righteousness. We will never be ‘good enough’ to deserve the grace of God, or His love. So, how is the Law fulfilled in us or how has it been made obsolete? For this, we need to go back to salvation. When we are born again, we are given a new heart of flesh and a new spirit (Ezekiel 36:26). On this new heart of ours, something is written on it that was not written on the old, stony heart we had before salvation. Jeremiah 31:33 (NIV): This is the covenant I will make with the people of Israel after that time,” declares the LORD. “I will put my law in their minds and write it on their hearts. I will be their God, and they will be my people. John 13:34 (NIV): A new command I give you: Love one another. As I have loved you, so you must love one another. John 15:12 (NIV): My command is this: Love each other as I have loved you. The law is made obsolete because the Holy Spirit fulfillis it in us, through the love of Christ. Romans 8:3-4 (NIV): For what the Law could not do, weak as it was through the flesh, God did: sending His own Son in the likeness of sinful flesh and as an offering for sin, He condemned sin in the flesh, (4) so that the requirement of the Law might be fulfilled in us, who do not walk according to the flesh but according to the Spirit. What religion does not want you to know, is that the Law is fulfilled in you through living a Holy Spirit directed life. It is loving others as He loves us, which is only possible when we are living in the Spirit. It is being senstiive and obedient to the Spirit. God has already given you everything you need: His righteousness to be reconciled to HIm, through Christ. This is grace, and why He sees you without blemish (Acts 20:34). Stop being sin conscious, or Law conscious, for the Law makes us conscious of sins and it is a curse (Romans 3:20; Galatians 3:10). Righteousness is a natural result of recieving God’s love, which manifests through you into behavior rather then behavior modification through will-power. When you are conscious of God’s grace, that ALL your trespasses have been forgiven, it will be freeing and your belief in God’s love will enable you to love as God does, resulting in a life of righteousness rather than trying to earn a life of righteousness. This is why righteousness is by faith (Romans 3:22). Previous Post How Is There Power In Christ’s Blood for you, today?